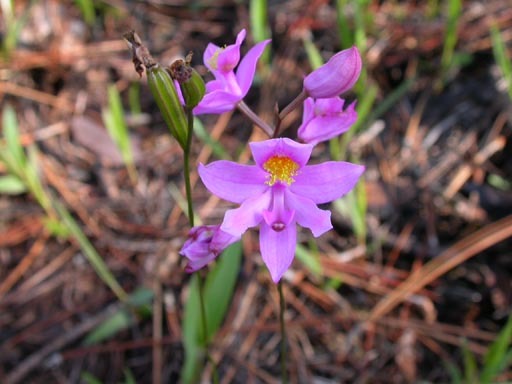 Here are a few photographs of some North American and Florida native orchids that I have recently taken. 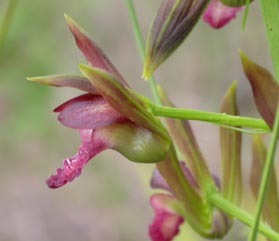 For more images of native orchids follow this view the photo gallery of Scott Stewart. Common name: wild coco This is a magnificent orchid that can reach heights of over 5 feet. This particular plant was found growing in a wet ditch in south Florida. Abundant in north central Florida. 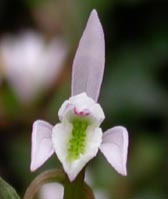 This small orchid is found north to Minnesota and Wisconsin. 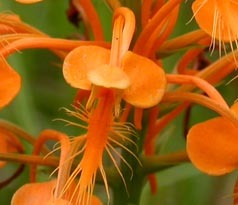 A brilliant fire-orange orchid that is found north to Michigan. This plant was growing in a wet ditch. The plant looks similar to P. cristata and P. chapmanii, but is a much larger plant. One of my favorite orchids. Range is southeast United States with Florida being the primary local. Often confused with C. mulitflorus. 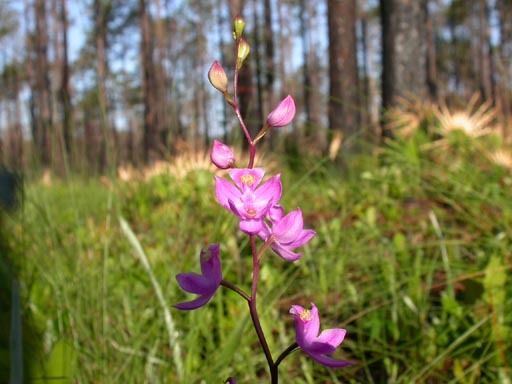 This plant was growing in a pine flatwoods. 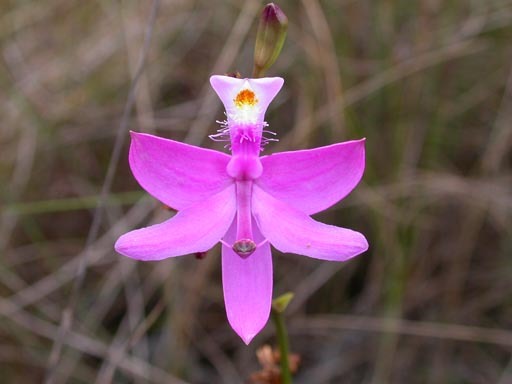 A rare orchid with center of range in Florida. 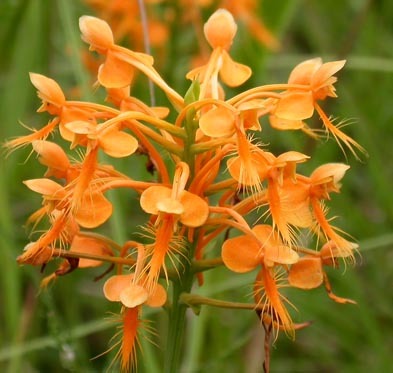 The plant is heavily dependent on controlled burns in order to flower. C. multiflorus is the only grasspink to have a light fragrance. This plant was growing near the C. barbatus plant above. The rarest of the grasspinks being restricted to south Florida, specifically alkaline prairies of the Everglades. The plant differs from var. 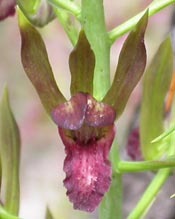 tuberosus or by the lighter colored lip and more robust growth habit. This variety is much taller and has up to 4 leaves, while var. tuberosus normally has only 1 or 2 leaves. Picture taken in the Everglades. This is one of my favorite pictures.